Get the information you need — not generalities. 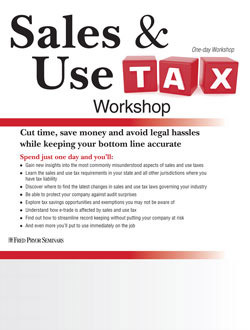 Some sales and use tax seminars offered by other companies give you a cursory overview of sales and use tax with little of the practical, real-world information you need to correctly handle day-to-day tax questions. This seminar is different. At the end of the day, you'll leave with essential information you can put to use right away. 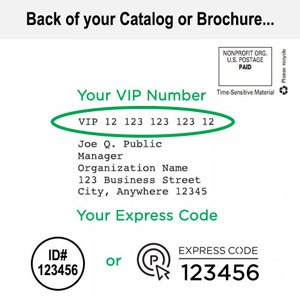 You'll understand sales and use tax and be able to apply it correctly for your organization. That's a lot of value for the investment of only one day. Taxes on third-party delivery charges — should you ever pay them? Casual or occasional sales: are they always exempt from sales tax in all states? Innocent until proven guilty — fact or fiction?